You are here: Home Page > Products > EasyCert > F.A.Q. Below you can find a list of frequently asked questions that should hopefully help you better understand EasyGas. If you still cannot find the answer you are looking for, please do not hesitate to contact us directly at sales@tysoft.co.uk. 1. Which certificates does EasyCert print? 2. What is the difference between each EasyCert product? 3. Can I add my company logo to certificates? 4. Can I add my registered organisation logo to certificates? 5. Can I add a scanned signature to certificates? 6. Does EasyCert verify any of the data entered into the certificate? 7. How do I get EasyCert Mobile? 8. Can existing certificates be opened or reprinted? 1. Can I download new versions of EasyCert? 2. Do I have to pay for support or maintenance charges? 3. What about any future changes or modifications in legislation? 1. Can EasyCert be run over a network on a server or file server? 2. How do I purchase additional user licenses? 1. Q: Which certificates does EasyCert print? A: EasyCert prints a complete range of electrical certificates, including BS 7671, BS 5839, and BS 5266 certificates and reports. This includes electrical installation certificates, periodic testing, emergency lighting, and fire alarm certificates. For a complete list of certificates currently supported, check the Certificates page. 2. Q: What is the difference between each EasyCert product? For a complete list of features highlighting the differences between each product, click here to view product comparison page. 3. Q: Can I add my company logo to certificates? Yes, your company logo can be added and printed on all certificates. 4. Q: Can I add my registered organisation logo to certificates? Yes, your registered organisation logo can be added and printed on all certificates. 5. Q: Can I add a scanned signature to certificates? Yes, your scanned signature can be added and printed on all certificates. 6. Q: Does EasyCert verify any of the data entered into the certificate? EasyCert will attempt to validate and verify the information you enter when creating certificates and prompts you accordingly when a required field is missing. This saves you time and ensures no mistakes have been made before you print the final copy of the certificate. 7. Q: How do I get EasyCert Mobile? A: EasyCert Mobile is part of EasyCert Mobile which can be purchased here. 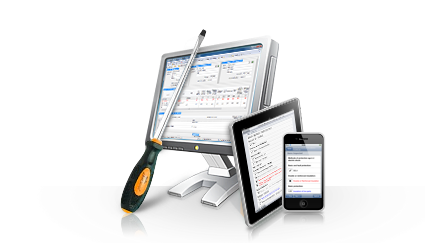 Existing customers can also upgrade to EasyCert Mobile if required. 8. Q: Can existing certificates be opened or reprinted? A: EasyCert allows any Certificate you create to be saved to its database and reopened at a later time. Certificates can be saved and then worked on later if required where you can easily make changes at any time and print when required. 1. Q: Can I download new versions of EasyCert? A: When you purchase EasyCert the software includes a 12 months free Customer Care Package. This allows you to download and install all new versions free of charge within this time including bug fixes, improvements, and new certificates that are added. 2. Q: Do I have to pay for support or maintenance charges? A: EasyCert software includes an initial 12 months free Customer Care Package with your initial purchase. This gives you unlimited support throughout that period. You can renew or extend your Customer Care Package at anytime. 3. Q: What about any future changes or modifications in legislation? A: If any changes are made to legislation or modifications to existing certificates, EasyCert will be updated accordingly and customers of our Customer Care Package will be notified of a new version to download and install. 1. Q: Can EasyCert be run over a network on a server or file server? A: Yes EasyCert can be run over a network either from a server or file server. Options within the advanced settings of the software allow you to configure where your certificates database is stored. Simply set this to the required path where several EasyCert clients can then access the database at the same time. Please note that a user license must also be purchased for each individual computer running and using the networked database. 2. Q: How do I purchase additional user licenses? A: You can purchase additional user licenses individually or in license packs depending upon your requirements. Click here to purchase additional licenses.